ATLANTA, Ga. (Aug. 29, 2016) – This fall, Chick-fil-A® is bringing fresh new flavors to its menu in select markets with two new grain bowl options: the Harvest Kale & Grain Bowl and Egg White Grill Grain Bowl. In an effort to offer both the classic menu items customers know and love, alongside more nutritious options, Chick-fil-A is testing the grain bowls while continuing to offer customer favorites like the original Chick-fil-A® Chicken Sandwich, Chicken Biscuits and Nuggets. Beginning August 29, customers can visit participating restaurants in the San Francisco Bay Area, Sacramento, Tampa, Fla. and Huntsville, Ala. to order the new menu items. The Harvest Kale & Grain Bowl features a hearty blend of red quinoa, white quinoa and farro, roasted butternut squash and diced apples on a fresh bed of chopped kale. It is topped with a goat and feta cheese blend and tart dried cherries and served with a blend of roasted nuts (walnuts, almonds and pecans) and new Light Balsamic Vinaigrette dressing. Each bowl is made fresh daily in Chick-fil-A restaurant kitchens and can be ordered during lunch or dinner hours with or without grilled, sliced chicken. 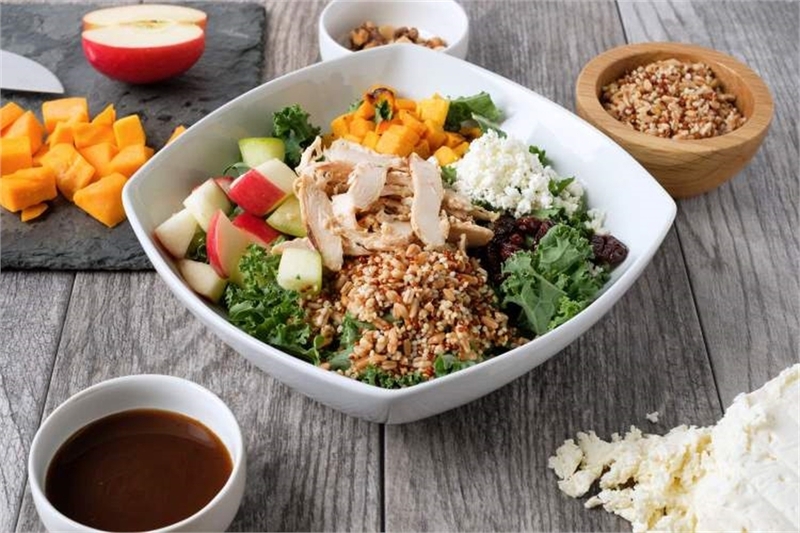 The new Harvest Kale & Grain Bowl with chicken contains 370 calories and 22 grams of protein and starts at $8.19. The vegetarian option contains 300 calories and 9 grams of protein and starts at $6.75. Chick-fil-A is also testing a new Egg White Grill Grain Bowl in participating restaurants. 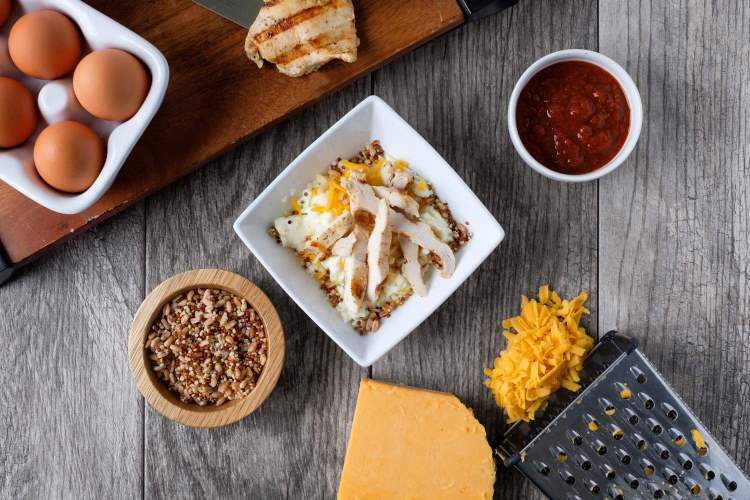 This new breakfast entrée includes the same grain blend of red quinoa, white quinoa and farro, as along with scrambled egg whites, grilled chicken and a Monterey jack/cheddar cheese blend. With 220 calories and 29 grams of protein, the Egg White Grill Grain Bowl is a satisfying, nutritious way to start the day. The Egg White Grill Grain Bowl starts at $4.95. The new Harvest Kale & Grain Bowl and Egg White Grill Grain Bowl will only be available in participating restaurants during a limited-time test. Chick-fil-A will evaluate customer feedback following the test to determine if the new menu items will rollout nationwide in the future. Grain Bowls will be offered from August 29 to November 5.